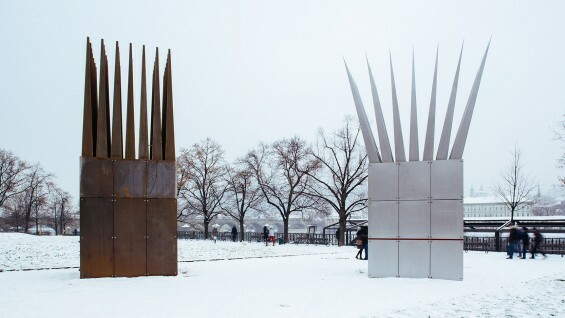 On Saturday, January 16, 2016, the Jan Palach Memorial by John Hejduk (AR ’50), founding dean of The Irwin S. Chanin School of Architecture, was unveiled in Prague, Czech Republic. 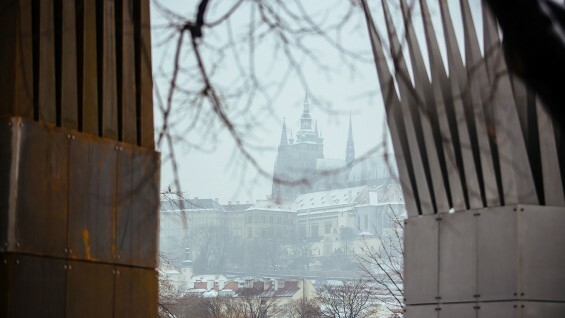 The work, entitled House of the Suicide and House of the Mother of the Suicide, honors the Czech dissident Jan Palach, whose self-immolation in protest of the Soviet invasion of 1968 served as a galvanizing force against the communist government in Czechoslovakia. The structures were first built in Atlanta by Georgia Tech students and alumni under the supervision of Professor James Williamson in 1990. 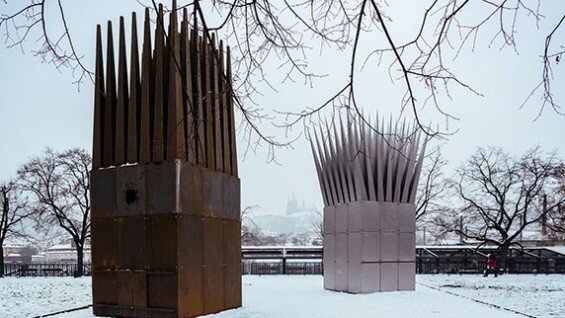 They were also built as a temporary installation on the grounds of Prague Castle in 1991, in conjunction with a major exhibition of Hejduk’s work. The exhibition opening was attended by President Vaclav Havel and Shirley Temple Black, then U.S. Ambassador to the newly formed democracy of Czechoslovakia. 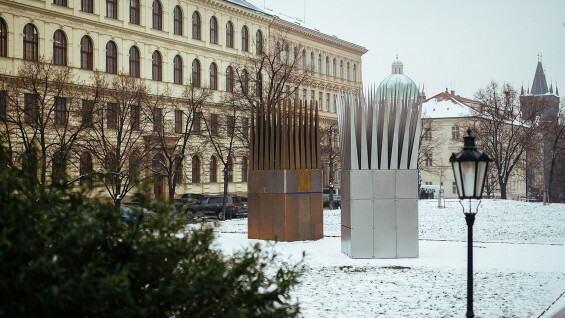 Realized again twenty-five years later, and located at Jan Palach Square (formerly Red Army Square), this is the first time a John Hejduk structure will be located permanently in a public space anywhere in the world. A plaque at the base of the monument displays the poem The Funeral of Jan Palach, by David Shapiro, a former professor at The Irwin S. Chanin School of Architecture. The opening ceremony on January 16 included presentations by representatives of the City of Prague, poet David Shapiro; James Williamson of Cornell University, who collaborated with Czech fabricators to realize House of the Suicide and House of the Mother of the Suicide; and Hejduk's daughter, Dr. Renata Hejduk.